Another year’s rolling painfully close to its end, and it’s time to take stock of the heaps of words I’ve glared at this year. I’ve got a feeling one or two I’ve got left to read might be worth including, too, but I’m about to holiday so they’ll have to wait for next year. As of writing, I’ve read about 65 books this year, though a few likely got forgotten, and there’s a handful of DNFs and one or two yet to finish. This list, in no particular order, covers my very favourite reads of 2018, followed by some non-fiction and a longer list of the others I’d recommend most. Not all (or many) are especially new, but they’re definitely all worth a look. As riveting and unique as Senlin Ascends, which was a tough act to follow – a superb sequel and confirmation that Bancroft’s got a lot more to give. Which is good to know with The Hod King just around the corner. One critic described this book as a “nightmare odyssey”, and there’s no better way to say it. I read it right at the start of 2018 and that set the bar far too high for the rest of the year. I imagine it’s not for everyone – there were times when I was sat gaping at this book when my wife thought I was going to have a breakdown. But it’s a hell of an experience. I don’t tend to read series all at once, I like to spread my reading net wide. Sometimes I’ll only dip into one book from an author in a year. 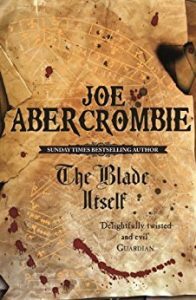 But I think Abercrombie’s The Blade Itself made it onto my Best Reads of 2017 list right at the end, and I’d finished the trilogy within a few months of 2018. That’s how much I enjoyed it. Dark, epic, and with a great sense of humour. Telepaths and tectonic shifts and a book with a different cultural perspective, a book with a great deal going for it. I doubt I need to say much about the first in the 3 time Hugo-winning series; it did not disappoint and I look forward to the next two entries. Though I’ve had the second book on the shelf for longer than this one. Expect it on this list next year. 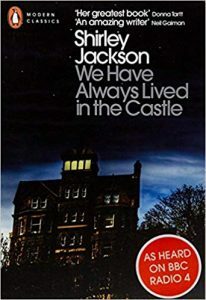 A classic crime procedural in a sci-fi setting, packed with emotion and creativity – angry, raw and brilliant. I’ve read two Bester books and they’ve both been some of the best stuff I’ve come across in years and I have no idea why I haven’t read more. It troubles me sometimes. If you know this book and haven’t read it, it’s probably because it’s very long. That was me, once. It was worth it though. 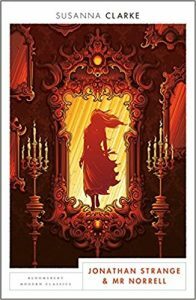 An exceptionally stylised alternative history of magic (re)emerging during the Napoleonic wars – and one that’s surprisingly readable considering how effectively Clarke adopted a Victorian style. Ticked a lot of boxes for me as it’s an area of history I used to do a lot of studying in. This surprise late discovery for me came from a fellow SPFBO entry. I’ve read a few excellent books from the competition so far but this one hit every right note for me. Though initially drawn in by the simple promise of puns, I found this a near-perfect satirical adventure. Very funny and clever, with great flow, a lot of variety, and pitch-perfect delivery. Pike’s clearly a talent to look out for. I definitely haven’t read enough non-fiction lately, but these books certainly left a lasting impression. When God Was a Woman – Merlin Stone – non-fiction, religion/gender studies; a survey of the history of gendered worship and patriarchal society – should be required reading. The Examined Life – Stephen Grosz – non-fiction, psychology; easily digestible anecdotes that illuminate problems both unique and universal. Black Holes and Time Warps – Kip T. Thorne – non-fiction, relativity; surprisingly accessible approach to a difficult topic – will leave you questioning reality (and frequently produced a similar look of horror from me to Blood Meridian, albeit for slightly different reasons). The following books were all excellent reads, too. They’re in no particular order, and many could be on a par with some of the books above depending on your tastes, but if I wrote platitudes on all of them right now, I’d have no time to work. (And some are popular enough that it’d hardly by worth my bother – looking at you, The Shining and Frankenstein).